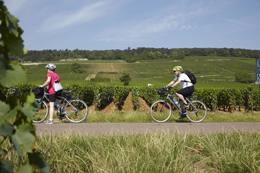 By bicycle, by car or on foot, explore some little-used paths to discover the wines of Bourgogne. Created just for you, the region’s tourist trails lead you straight to the door of a range of estates, cooperatives and maisons de négoce. There, you will receive a warm welcome from winegrowers and négociants, and will enjoy tasting wines and exploring the region’s rich heritage. The winemakers are proud to share their passion and knowledge of Bourgogne’s « terroir » . The vines require great care and attention all year round. Please be careful near machinery and considerate of the vineyard workers for your own safety and to facilitate their day-to-day work. In the north of the Bourgogne winegrowing region, just 1.5 hours drive from Paris, you will find yourself on La Route Touristique des Vignobles de l’Yonne. This enchanting itinerary leads you to the heart of the Chablis and Grand Auxerrois winegrowing regions. Here, the winegrowers will be delighted to welcome you and let you share their wines, including Chablis, Irancy, Saint-Bris and Bourgogne Tonnerre. Between tastings, you can explore paths through the vines and forest trails. A little farther east, continue your tour on La Route du Crémant : you will enter the Châtillonnais, where Crémant de Bourgogne is king. The cellar doors are open to you so come and sample this wine with its fine bubbles, available in white and rosé versions. While you are here, explore the Châtillonnais Forest, on foot or mountain bike, and discover the region’s historic heritage. You can admire churches, abbeys and chateaus, as well as the fabulous treasure of Vix (500BC), brought to light by archeologists. As you leave Dijon traveling south, you join La Route des Grands Crus, an exceptional itinerary along which you will discover the most prestigious Bourgogne wines. 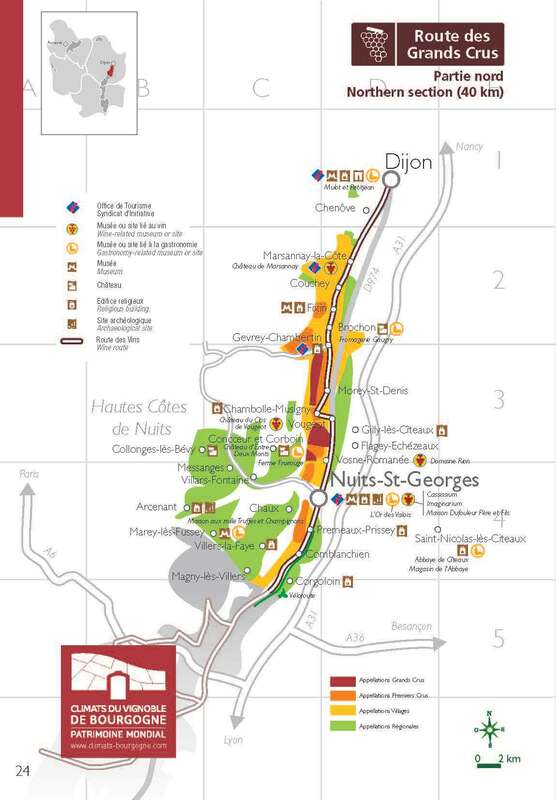 First, you will explore the Côte de Nuits, with its famous terroirs and renowned villages like Gevrey-Chambertin, Vosne-Romanée and Nuits-Saint-Georges. 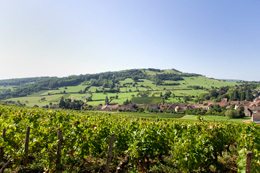 Nicknamed the Champs-Elysées of the Bourgogne region, in parts, it is no more than 300 meters wide, and brings together a host of world-famous appellations like Chambertin, Clos de Vougeot and Romanée-Conti, to name but three. Knock on some doors and the winemakers will invite you in to taste their unforgettable wines ! From Ladoix-Serrigny onwards, the southern part of La Route des Grands Crus covers the Côte de Beaune. Stop off at a cellar to sample some delicious Meursault, an Aloxe-Corton or even a Chassagne-Montrachet. 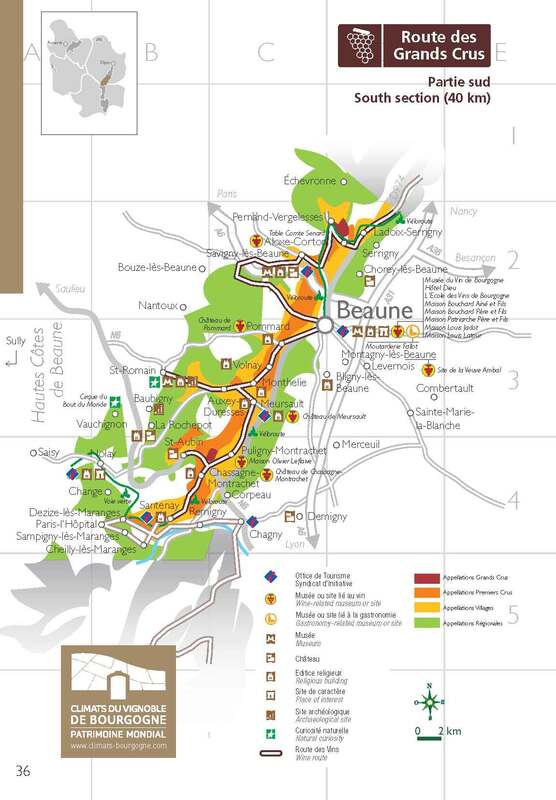 Then take a tour along the Véloroute between Beaune and Santenay. This trail has been designed for cyclists and its clearly-marked path offers some stunning views over the vines. It crosses several winegrowing villages including Pommard and Volnay. Côte Chalonnaise and Mâconnais: two trails to explore ! 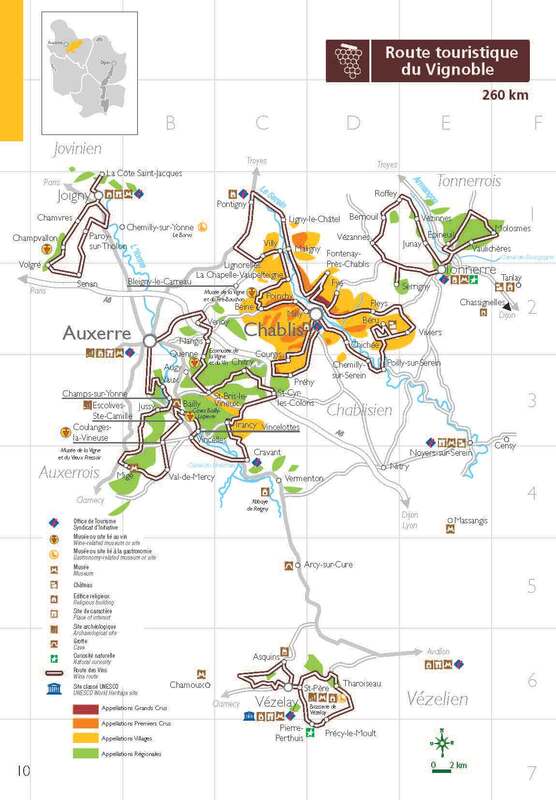 Continue your tour of the Bourgogne winegrowing region along La Route Touristique des Grands Vins. 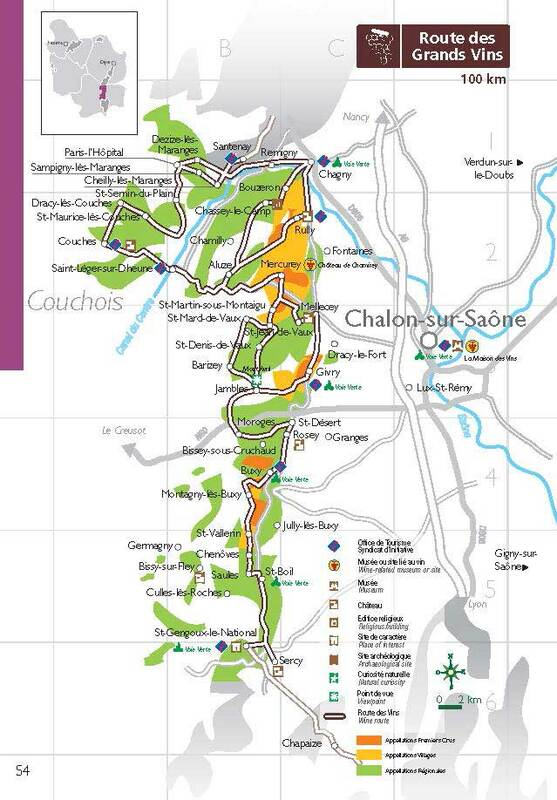 Now you are exploring the Côte Chalonnaise, to the west of Chalon-sur-Saône. 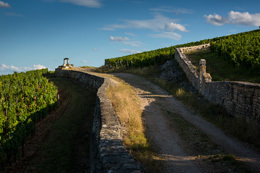 The local winegrowers offer fleshy and fruity red wines like those from Rully and Mercurey, along with sophisticated white wines such as Montagny and Givry. Get an even better perspective of the region by traveling the Voie Verte that follows the Canal du Centre and provides the perfect backdrop for a bike ride. When you reach Chalon, you can visit the fascinating Nicéphore Niépce Museum, dedicated to the inventor of photography, before stopping in at the Maison des Vins de la Côte Chalonnaise. 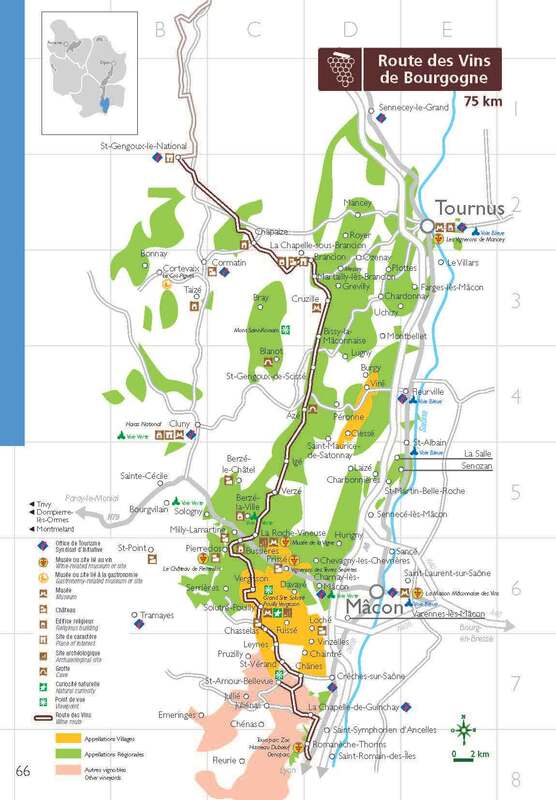 Here you are in the south of the Bourgogne winegrowing region. 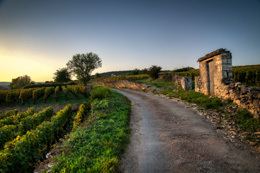 To finish your delightful tour, take La Route des Vins Mâconnais-Beaujolais, 70km north of Lyon. On your way, visit the region’s cellars to enjoy a rich palette of wines such as those lively, fresh wines from Mâcon and Viré-Clessé, or the great white wines from Pouilly-Fuissé and Saint-Véran. This poetic itinerary will also take you to Romanesque churches, chateaus and other fabulous sites like the Roche de Solutré and the Abbey of Cluny, more to the west.